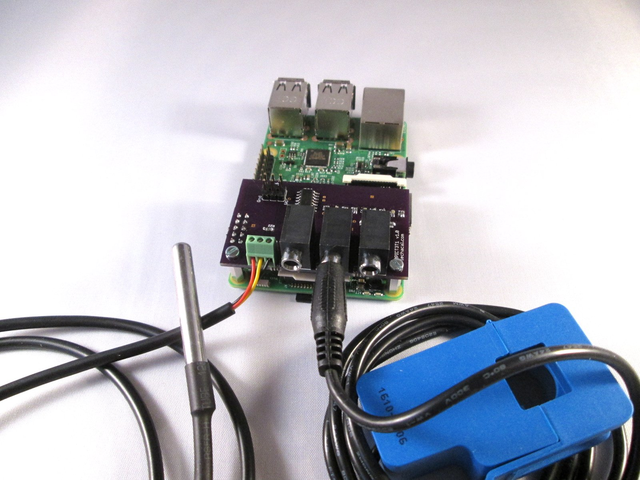 Connect up to 3 Current and 1 temperature sensor to a raspberry pi. IMPORTANT NOTE: The board is sold by default with CSV output. Emoncms output will have to be configure with the utility provided in the wiki (see documentation).